For geolocation IP address maps we needed to convert (lon, lat) to color in HSL and RGB color schemes. These two small Perl lonlat2color and python lonlat2color scripts include functions we used to map world coordinates into HSL color space. 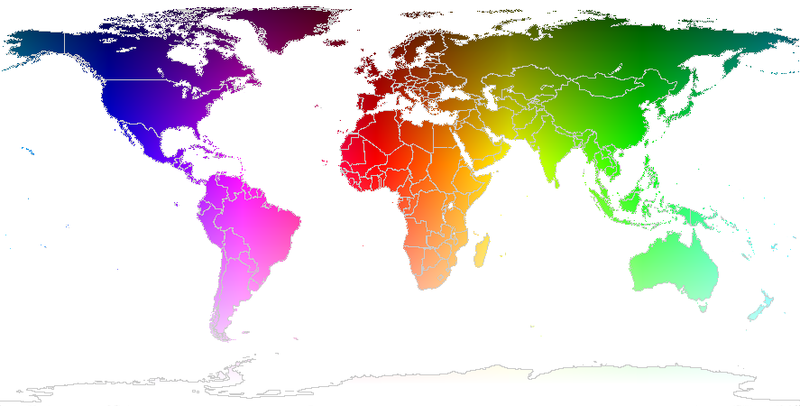 If we used this function on all coordinates in the world, we’d end up with this rainbow map of the world.